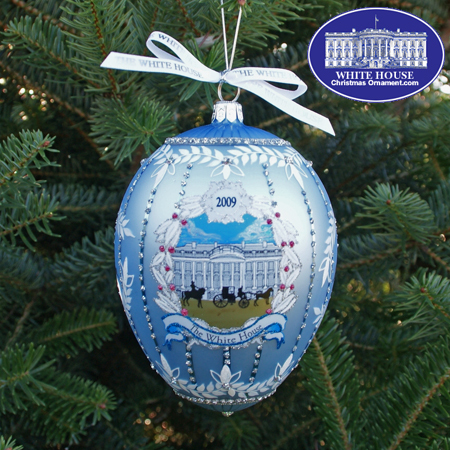 The White House Ornament Collection presents the 2009 John Adams Administration Christmas Ornament. 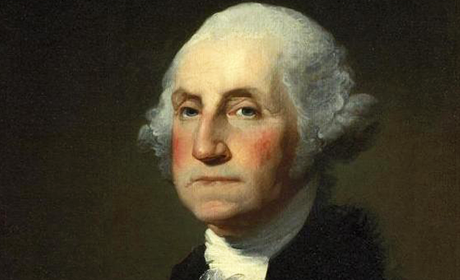 While George Washington supervised the construction of the President's House, he was never an occupant. John Adams, the second President of the United States and Abigail Adams, his wife, became its first inhabitants in 1800. It was Saturday, November 1, 1800, and John Adams was anxious to arrive at his new residence in Washington City - the President's House - now known as the White House. Although he was our nation's second President, he was the first President to establish residency at the White House and he did so at approximately noon on this day. Upon John Adams' arrival, construction was still ongoing. Inside the building among the laborers were two district commissioners, who were performing an inspection when they looked up and saw the President's carriage coming to a halt in front. Accompanied by two gentlemen, Billy Shaw, his secretary, and John Brisling, his steward, John Adams stepped down from his carriage and adjusted to the scenery. What he saw was the grandest white washed stone building in all of America, despite the fact that it stood amidst rocks and rubble in a vast field of nothing but weeds and muddy ruts made by the wheels of wagons. Once inside, the President learned that 18 of the 36 rooms and only one of three staircases were completed. Despite the condition of the President's House, it was still habitable and upon settling in, President John Adams took gentlemen callers late into the afternoon. After an extremely filled day of travel and accepting visitors, the weary President had an early dinner and retired upstairs to his bedroom for the evening.